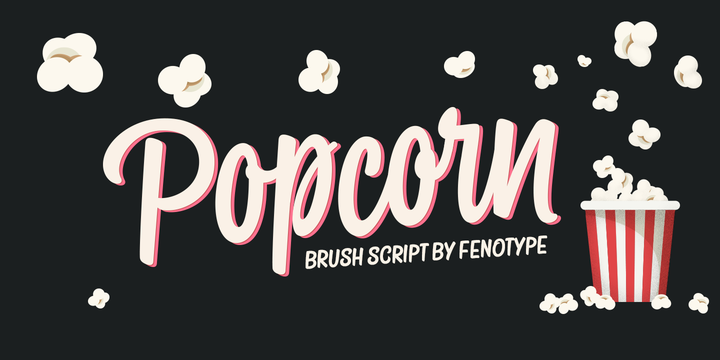 Popcorn is a brush script typeface created by Emil Karl Bertell and published by Fenotype which is available in 6 styles, 2 widths (Normal & Print) each with three weights (Regular, Bold, Casual). It comes with usefull OpenType features suitable for your purposes. It is ideal for any kind of project such as advertising, magazine, poster, print projects etc. Enjoy! Price: starting from $19 for one font to $35 for all 6 fonts. A font description published on Monday, May 14th, 2018 in Emil Karl Bertell, Fenotype, Fonts by Alexandra that has 1,843 views.